NLD U20’s Win Dramatic Semi Final! 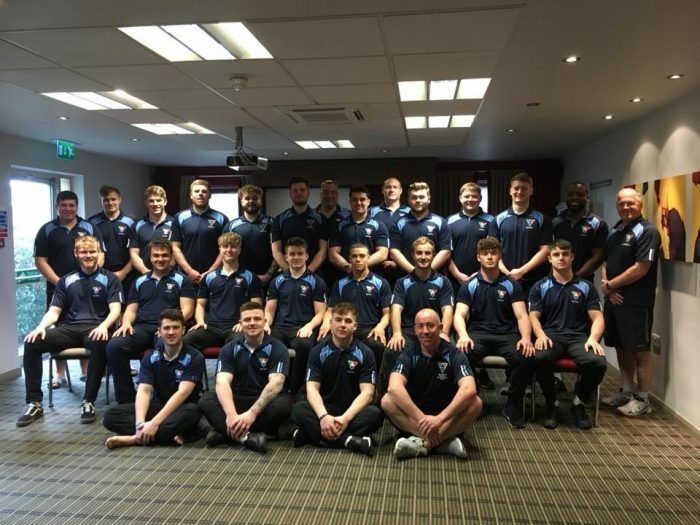 The NLD U20 Squad made the long trip to Devon on Sunday (15th April) worthwhile as they secured a dramatic, last moment win in the Semi Final of the Jason Leonard RFU U20 Division 2 County Championship. After a three tough matches in The Jason Leonard under 20 county championship, the NLD squad headed all the way down to Ivybridge RFC. This was always going to be a tough ask for the NLD squad (mainly players who are playing level 7 and below) against Devon (whose squad featured no less than 9 players who currently play level 5 rugby). The pitch had been suitably softened up by the amazing wet Devon weather so a free flowing game it wasn’t. Early tries from both sides in the first half left the half time score 14-12 to NLD who succeeded with both conversions. The NLD back row of Brisco and Brown were dominant and it was Brown and Tucker who scored both tries first half. Both sides had to work hard on defence and NLD saved the use of our subs by keeping some back for a final flurry which worked. The half time team talk was led by Trimmer who rallied his team and the squad responded, coming out after the break hard and fast although Devon did likewise. 19-19 with 45 minutes gone. At 49 minutes NLD took the lead with Kane Linklater of Scunthorpe crashing over in the corner. This was closely followed by a try from the Devon 12 – who had been hard to stop all game (26-24 Devon). Aaron Walker of NLD then scampered in for a try on the 69th minute to make it 29-26 NLD. Then – on the 79th minutes the NLD hearts sunk when Devon went over for a converted try (33-29 to Devon. Was that the game over? Not for the NLD Squad. They managed to win the ball from the restart and after last play was called at 80 minutes and two penalties awarded to NLD from which they opted for scrums, in the 83rd minute NLD’s skipper Henry Trimmer crashed over for the winning try under the posts, converted by Harrison Wells. In a pulsating fixture that really did go down to the wire huge credit to the entire squad who were a credit to themselves, their clubs and NLD with their demeanor on and off the pitch. The squad now face Lancashire RFU in the final on Sunday 6th May at Moseley RFC, kick off 2pm. Enjoy the winning moment by clicking here!